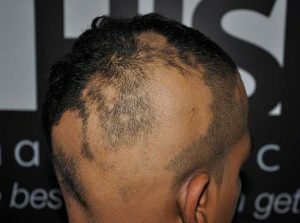 Alopecia Areata affects approximately 4% of the population and is seen in men, women and children of any age or nationality. It is mostly recognised as being of an autoimmune origin and is most often triggered by the response to emotional stress either accumulative or sudden shock as in a bereavement. There can be a single or several patches which are smooth to the touch and are usually round or oval of varying size. These can occasionally join to cover an extensive area of the scalp. A patch can develop after a stress event but can also be delayed for up to a couple of months. This symptom may also present with pitting or ridges to the fingernails. In some cases, hair regrowth occurs spontaneously, however for those children where this is not happening the treatments approach I use in my clinic appears to be very successful. These involve the application of topical stimulants and particularly the beneficial effect of ultraviolet light therapy. GP will often prescribe topical steroids, creams or lotions in my experience; I have found these to be mostly unhelpful. However, some Dermatologists will use topical steroid injections these can in some cases stimulate regrowth but is not long lasting. 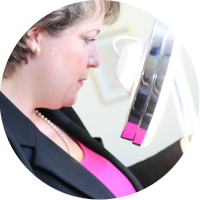 I feel it is important that the patients suffering from Alopecia Areata understands the prognosis entirely and suggested treatment, I feel it so important for my patients to understand this distressing condition fully.